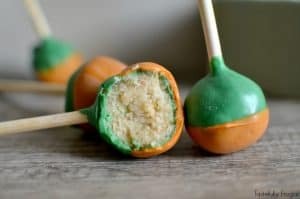 It’s finally that time of year when my craving for everything pumpkin can be satisfied. From pumpkin pies to pumpkin cheesecake and my favorite pumpkin chili! However this year I have a new baby girl who is attached at the hip to me 24/7 so cooking and baking every day isn’t always option. It’s a good thing there’s a Costa Vida down the street or my boys would go hungry most nights! But Costa Vida doesn’t help with my pumpkin cravings. So I was determined to find a quick, easy and tasty recipe that not only I would love but that the whole family could enjoy too. 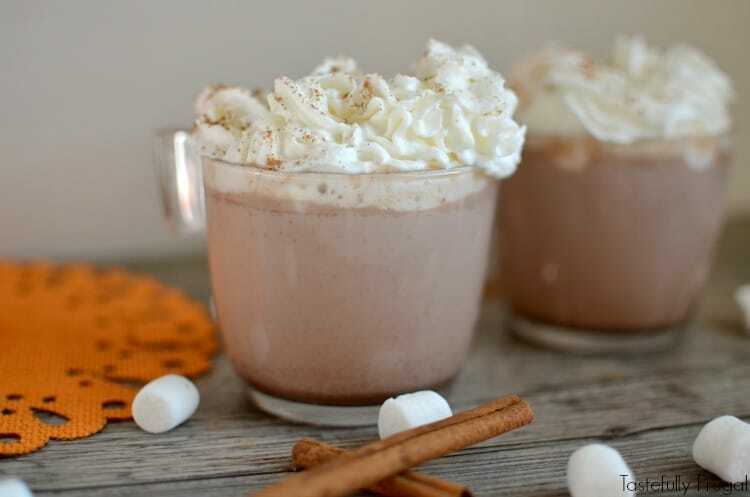 This Pumpkin Spice Hot Chocolate definitely does the trick. 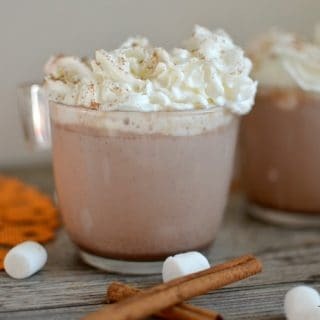 My boys love hot chocolate, I love pumpkin spice and who doesn’t love marshmallows and whipped cream?! All four pair perfectly in this 10 minute recipe that is perfect for crisp fall days. 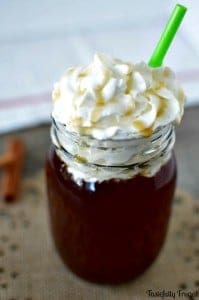 If I’m making a big batch, like on days when my boys have friends over, I like to use homemade whipped cream (this is my favorite recipe). But if it’s just the four of us I use whipped cream from the can. I’ve also seen recipes using white chocolate instead of milk chocolate. I’ve tried both ways and the only difference I’ve found is in the color; I use milk chocolate chips because that’s what we always have in the pantry. Heat milk in a saucepan over medium heat stirring occasionally until hot, but not boiling (between 3-5 minutes). Reduce heat to medium-low and stir in chocolate chips. Stir continuously until chocolate chips are melted. 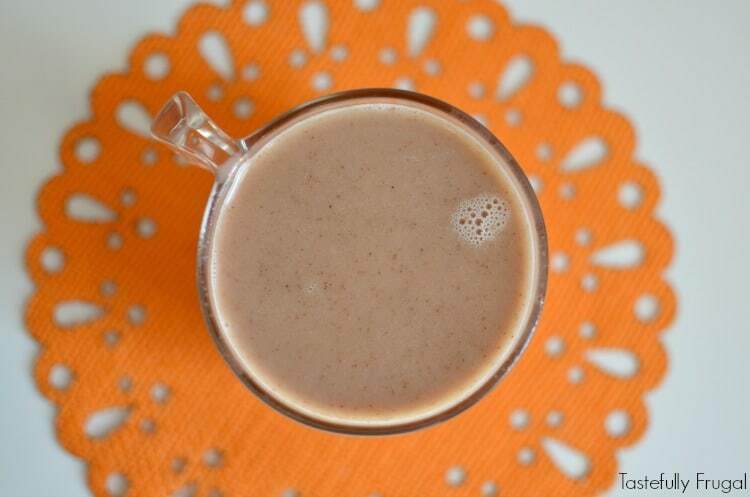 Stir in vanilla and pumpkin spice. 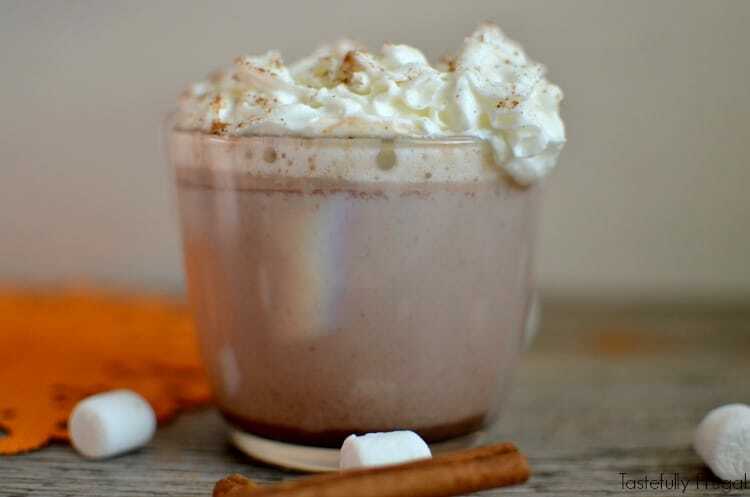 Pour into mugs and top with marshmallows, whipped cream and sprinkle pumpkin spice on top. If you don’t want your whipped cream to melt into your hot chocolate right away put the marshmallows in first and then your whipped cream. My oldest discovered if you do this your whipped cream lasts much longer. Do you love pumpkin spice as much as I do? 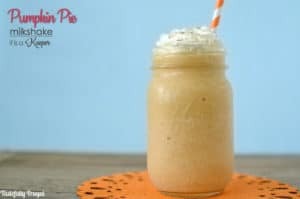 What are your favorite pumpkin recipes? 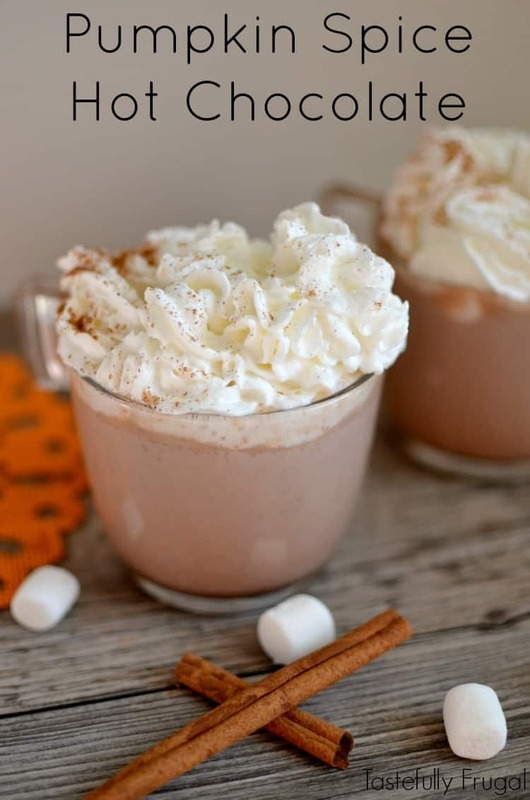 If this recipe looks tasty check out these other fall recipes!